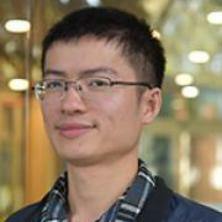 Dr. Songcan Wang is currently a postdoctoral research fellow at School of Chemical Engineering, the University of Queensland, Australia. He received his B.E. and M.E. degrees from Central South University, China, in 2011 and 2014, respectively, and PhD degree from The University of Queensland, Australia, in 2018. His research focuses on the design of low-cost and efficient photoelectrodes for solar fuel production and has published over 40 peer reviewed journal articles including top ranking journals such as Chem. Rev., Angew. Chem. Int. Ed., Adv. Mater., Adv. Energy Mater., Adv. Funct. Mater., Nano Energy, 2 book chapters, and delivered around 10 oral presentations in scientific conferences. He is also a reviewer for several journals. Wang, Song-Can, Yang, Juan, Zhou, Xiang-Yang and Li, Jie (2013) Layer-by-layer Assembled Sandwich-Like Carbon Nanotubes/Graphene Oxide Composite as High-Performance Electrodes for Lithium-Ion Batteries. International Journal of Electrochemical Science, 8 7: 9692-9703. Yang, Juan, Wang, Song-Can, Zhou, Xiang-Yang and Xie, Jing (2012) Electrochemical Behaviors of Functionalized Carbon Nanotubes in LiPF6/EC+DMC Electrolyte. International Journal of Electrochemical Science, 7 7: 6118-6126.